In our home, we enjoy the one-pot cooking technique as it is convenient, mess-free, and an easy way to prepare tasty meals. Preparing food in one pot not only saves time, both in the prep and post-meal clean up, the recipes can be easily adapted. 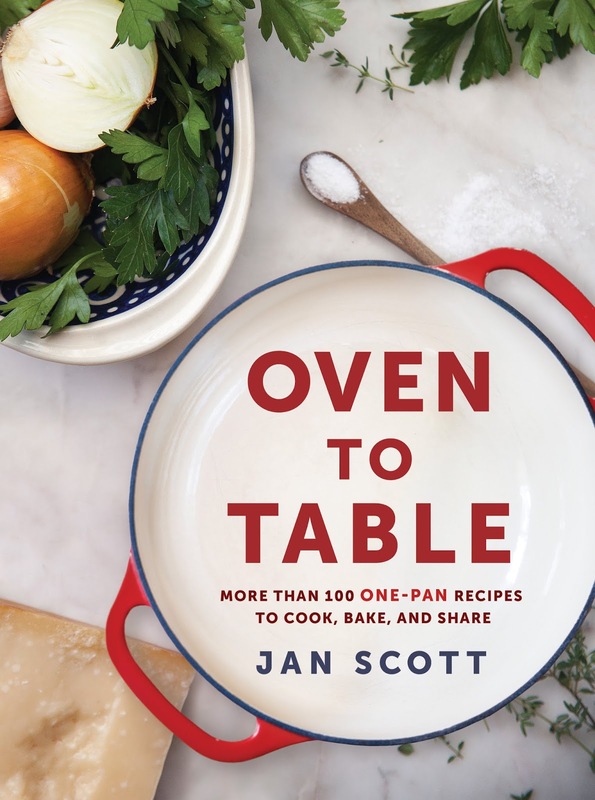 Jan Scott shares effortless recipes using easy-to-find ingredients and a variety of foolproof techniques that brings ease, comfort, and bold flavour to everyday cooking. The collection of practical recipes include Overnight French Toast Casserole, Barbecue Chicken Chili with Cornbread Dumplings, and Cherry Tomato and White Bean Skillet Bruschetta. The content is separated into Breakfast and Brunch; Soups, Stews, and Chilis; Breads, Sandwiches, and Pizzas; Main Meals; Vegetables, Sides, and Salads; Sweet Stuff; Sauces, Snacks, and Sips. The author has included a special occasions menu planner, and a recipe index by cookware. The book gives tips on how to use and invest in the six different cookware that is mainly used to prepare the dishes. This book is user friendly and will come in handy for people with a wide range of lifestyles. We tried a few recipes from this book. 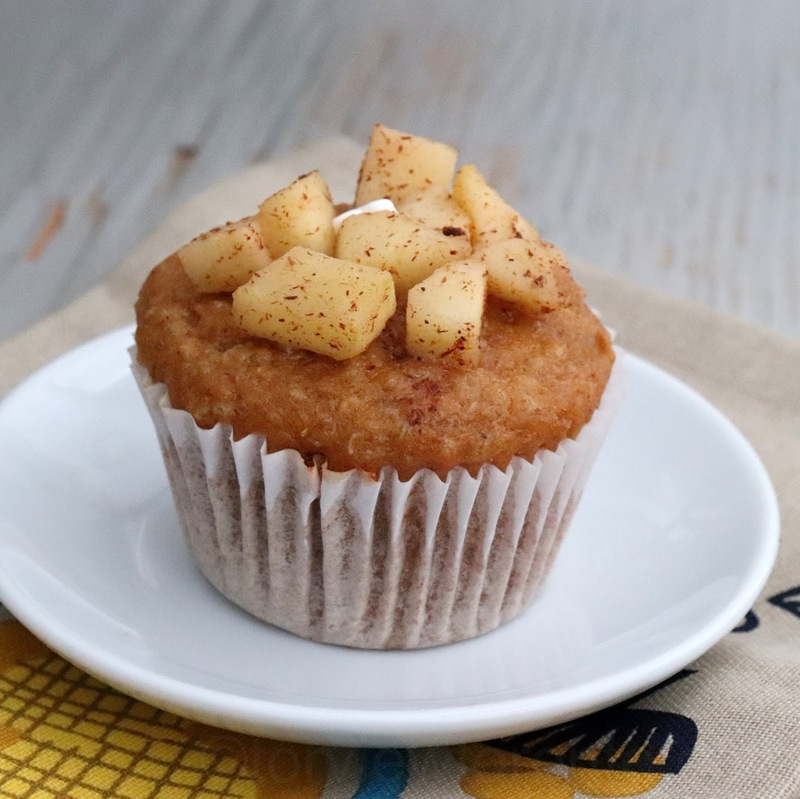 Here is a recipe for the Spiced Pumpkin Quinoa Muffin that my teenage daughter enjoyed making, for which she added some slightly cooked cinnamon apples and sprinkles. Bake in a preheated 350F oven. Combine the flours, baking soda, baking powder, cinnamon, ginger, and salt. In another bowl whisk together the brown sugar, honey, egg, yogurt, oil, and vanilla. Stir in the pumpkin and mix well. Add the dry ingredients and the quinoa to the wet mixture until just combined. Scoop the batter filling 2/3 to 3/4 full into a standard muffin tin lined with paper liners. 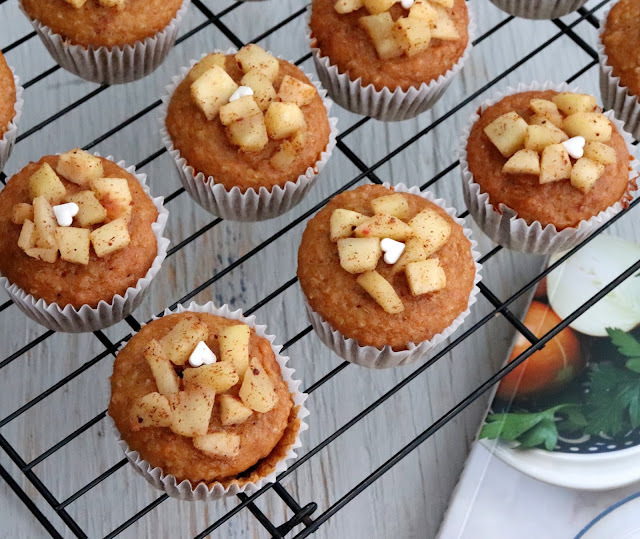 This recipe will make 12 muffins. Bake for 18 to 20 minutes until the centres are set and tops are golden brown. Remove from the oven and let it cool for 5 minutes before transferring the muffins to a cooling rack. If you live in Canada and would like to win a copy of this book Oven to Table please enter through the giveaway tool below. This giveaway ends on February 24th. Please follow my social media networks and leave comments to be eligible to win. Love cookbooks. One pot meals are so convenient. I often prepare them. I am always on the lookout for recipes that help make preparing healthy meals quickly and easily. I do a fair amount of one pot meals and package in containers for emergencies or when I don't feel like cooking. I'd love to win this as a gift for my dad--he loves one-pot meals! love to win to get some new recipes for one pot meals! I love the ease of one pot meals and am always looking for new recipes! I would love to win this as I am always looking out for new recipes that are quick, easy, and the that the family will love....one pot meals work for me! I enjoy one pot meals and would love to give this to my son who is a very good cook. I would love to win, I get stuck in a rut as what to make because I cook everynight and it can get boring sometimes and I need some new recipes to try! I love cookbooks and need to learn how to make more one pot meals for my huge family of 10! I would love to win because I love trying new recipes. I make one-dish meal about 50% of the time. I would love to win this book for some new ideas for myself and my husband.I usually prepare one pot meals when I can. I would like to win this book because I could use some new ideas for suppers. I don't usually use one pot meals but I would be willing to try them. I 'd like to win because one pot meals are my weeknight salvation and I'm always looking for new recipes. To learn how to make quick but healthy meals for my family. I am always looking for new recipes. I make one pot meals often, especially in the autumn and winter! I really like trying new things and now my daughter is wanting to learn to cook. These look like pretty easy recipes that we could try together. Anything made in just one ppot is for me. Especially for dinner. One pot meals simplify dinnertime! I would love to save time cooking with one pot meals. My mom and I love trying one pot meals. I'd love to win this to try new recipes. I looking forward to Jan Scott's new cookbook as I have and LOVE her first cookbook, Gatherings: Bring People Together with Food. A new cookbook is always welcome in my kitchen! I am always on the hunt for more one pot meals! I don't often prepare one-pot meals, so I'd like to win this to learn how.